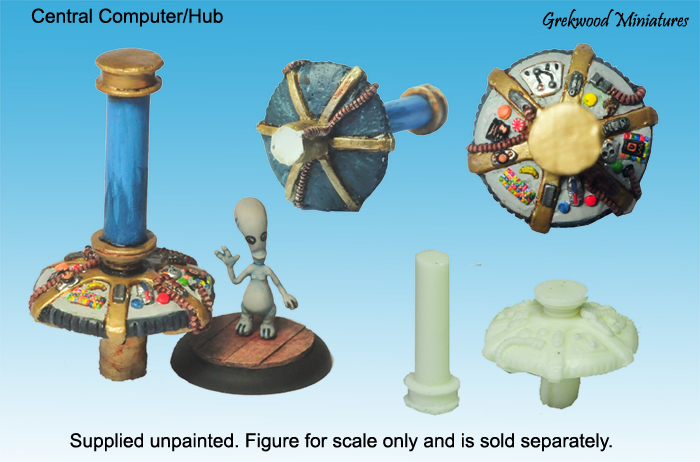 These are hand cast resin scenic items. Need a alternate style computer for a science lab, spaceship, or some ancient communication device found in lost world, or even on a different planet, well this is for you! Packed with keyboards, monitors, large buttons, communication stones and more! 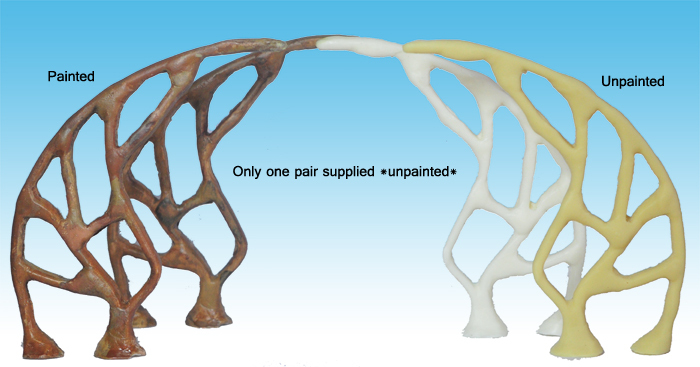 Made with solid resin. Total height 62mm. 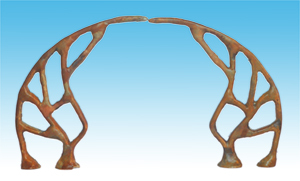 Suitable as an ancient arch in a woods, or an organic sci-fi setting. 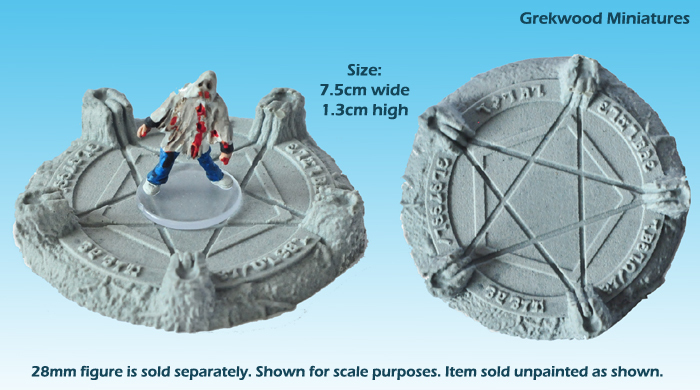 Can be painted up as wood, stone or even metal for whatever your gaming needs require! Made with solid resin. Total height 115mm. 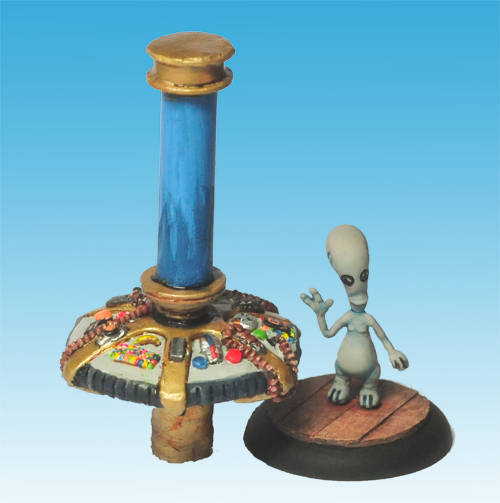 Perfect for placing underneath a figure base, used as a marker, or even used for smaller scale miniatures. 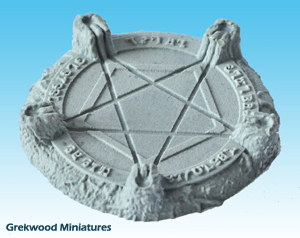 Also suitable for: Summoning demons/spirits, Casting Spells, Making Sacrifices for the gods, Burning a witch. 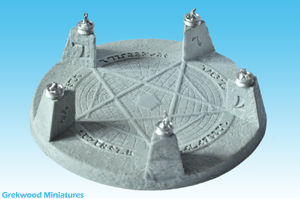 These can also be used as teleportation devices to transport you from one realm to another, or to another place on the playing table. Made with solid resin. 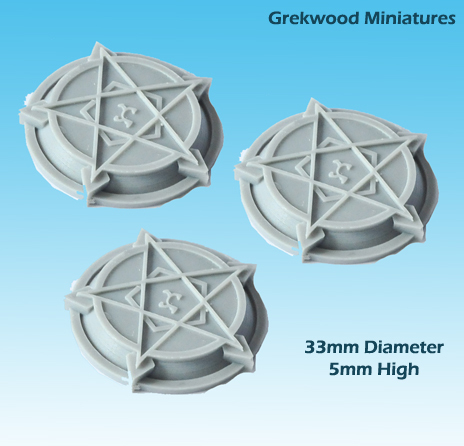 Base measures 33mm diameter. 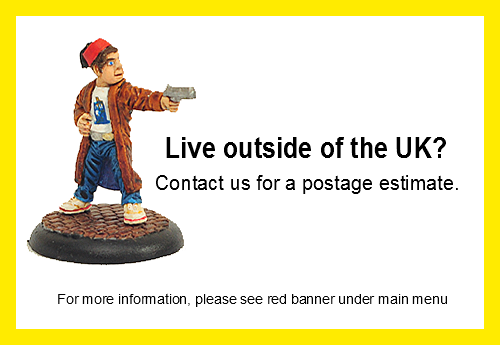 Measuing 75mm wide and 13mm high, this is perfect for placing a few figures on top. 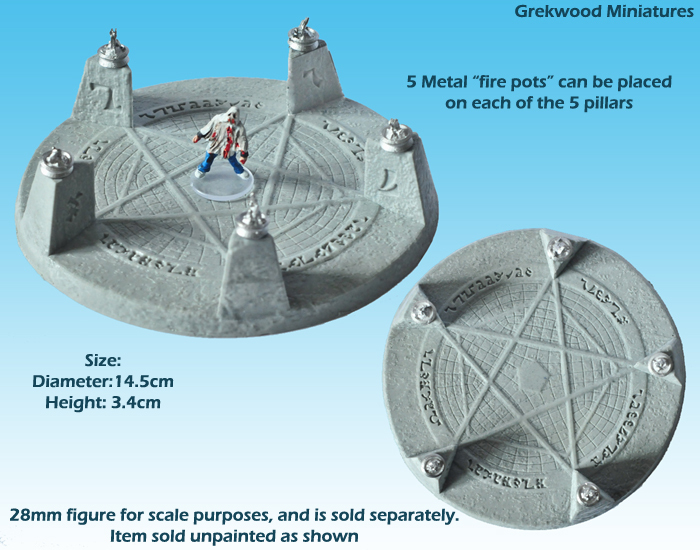 For those wanting a more impressive piece, this highly detailed circle comes with 5 metal fire pots which can be places on top of the 5 pillars. Each pillar has 2 symbols carved into it. Measures 14.5cm wide, and 3.4cm high (excluding pots).